On the bus tour to garden destinations in Arkansas, Harry Lewis and his wife Shelly were our guides along with Anne Kramer who planned the trip. During the trip I found out that along with keeping the lawn in tip top shape that Lewis, the, Executive Mansion Horticulturist also has a flock of hens at the mansion. 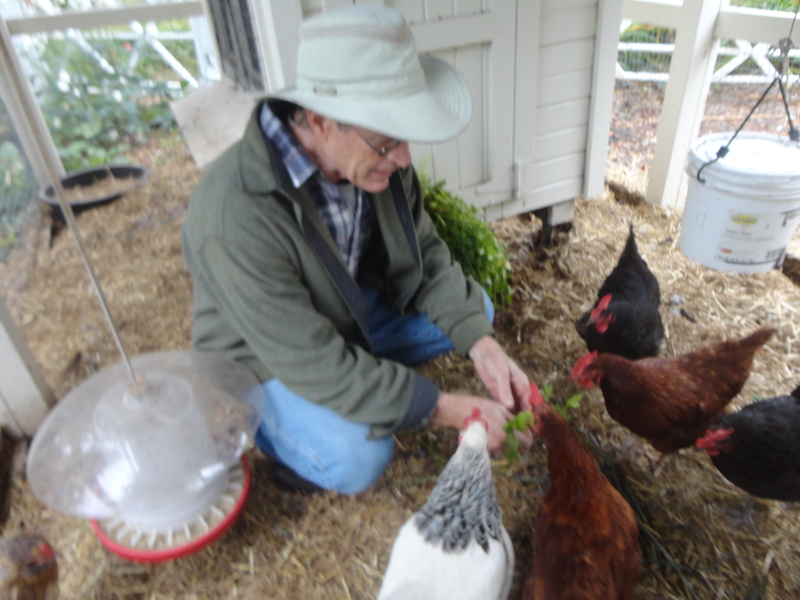 Today I went to interview him about the chickens that are used to assist with composting for a Farm World story. It took a bit for me to wrap around the idea of chickens on the Governor’s lawn but the fact that they repurpose so many things and that the chickens assist with creating compost all makes sense. With four breeds represented among the nine hens the chickens have already supplied two batches of compost and an amazing array of eggs. Daily they lay six to eight eggs each. The flock besides helping with compost also offers visitors a view of preservation of heritage breeds and an image of what a backyard flock looks like. In Springfield, Lewis said that residents are allowed to keep chickens as long as they are clean and orderly. Roosters are discouraged because of the noise. 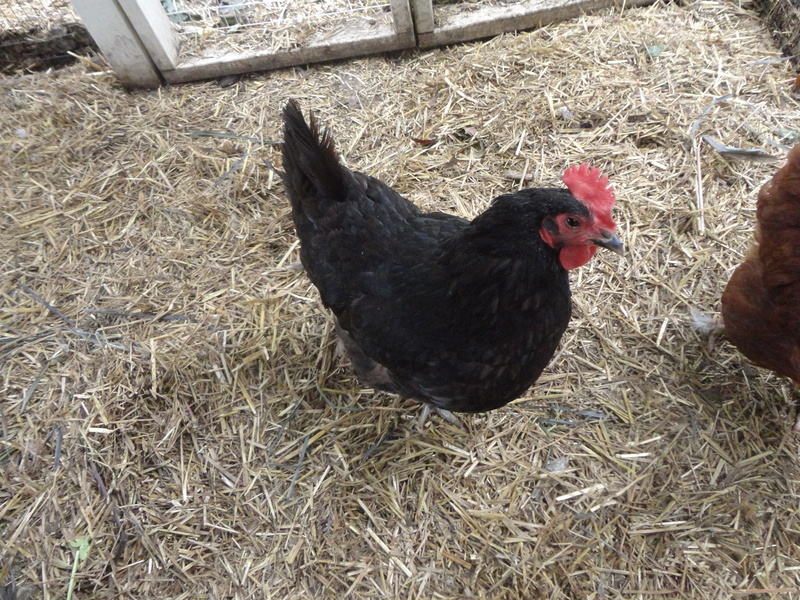 The hens are quite lovely with their bright plumage and the visit was an interesting one. With newly place pavers around the garden provided by the Granite Man traversing the lawn is simple even in damp weather like we had during my visit. Lewis said they found a fire place mantle in the mansion basement that is being repurposed into a fire pit, this is new along with the rearrangement of statues to be more visible so if you are like me and have not been to the gardens for a while, it is new and different. They are starting preparations for the Holidays, but if you have time, come see the chickens before the snow flies and the coop is covered on 3-sides to keep the hens warm. A walk around the Executive grounds might even get you a cackle or two from one of the “girls” in the pen and bring you a grin! For more information, log onto http://www.springfield-il.com/attract/mansion.html for details. Previous Post: Head for the water and the boatel! Next Post: P. Allen Smith's Moss Mountain Home, an oasis of garden and gracious living!